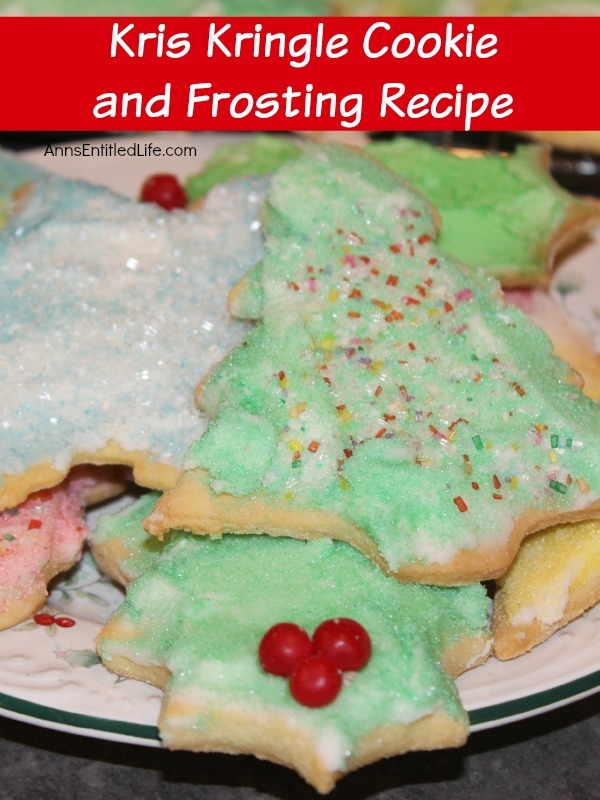 Traditional Christmas cut-out cookie and frosting recipe! • Sift cream of tartar into flour, set aside. • Cream 1 cup butter and white sugar together in a mixer. • Add vanilla, milk & soda mixture, and eggs. • Add 3 cups of the sifted flour and cream of tartar. • Keep adding flour to make a dough that may be rolled. • Chill to make dough easy to handle (2 hours to overnight). • Remove dough from the refrigerator, preheat oven to 400º. • Roll dough on lightly floured board to desired thickness. • Cut with cookie cutters or knife into shapes. • Cream butter slowly adding confectionery sugar, water and flavoring. 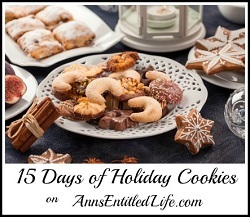 • Note: When you frost your cookies, allow them to air dry after frosting for 30 minutes. This will set the frosting and you will not be scraping it off your storage container. 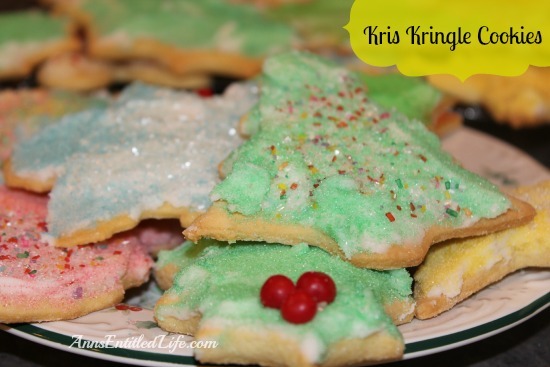 • To print the Kris Kringle Cookie and Frosting Recipe, click here. These cookies remind me of my mom and grandmother’s baking at Christmas time. Thanks for sharing and linking on Amanda’s Books and More! Powdered sugar, also known as confectioners’ sugar or icing sugar … I don’t know, I have always called it confectionery sugar. Sorry, Kim! Thank you so much for these they look absolutely yummy and hubby is maoning that there are no biscuits in the house so shall be going to make them shortly. I used this cookie recipe(or one very similar) when baking with my boys when they were younger. It stood up to all the flour and rolling out of the dough that little kids can do when helping to make cookies! Of course this year when I wanted to make them I could not find my recipe anywhere !! I am so glad I ran across this site Thanks! This one is from my childhood, Sharon, so it is quite old. 😛 Hope you all enjoy!